The Trump administration is proposing to private the Bonneville Power Administration, the foundation infrastructure that underpins lower cost power in Washington, Oregon, Idaho and Montana. President Donald Trump’s 2018 budget proposal is so chock-full of noxious elements — replacing food stamps with “food boxes,” drastically cutting Medicaid and Medicare, for a start — that it’s unsurprising that one of its most misguided pieces has slipped under the radar. 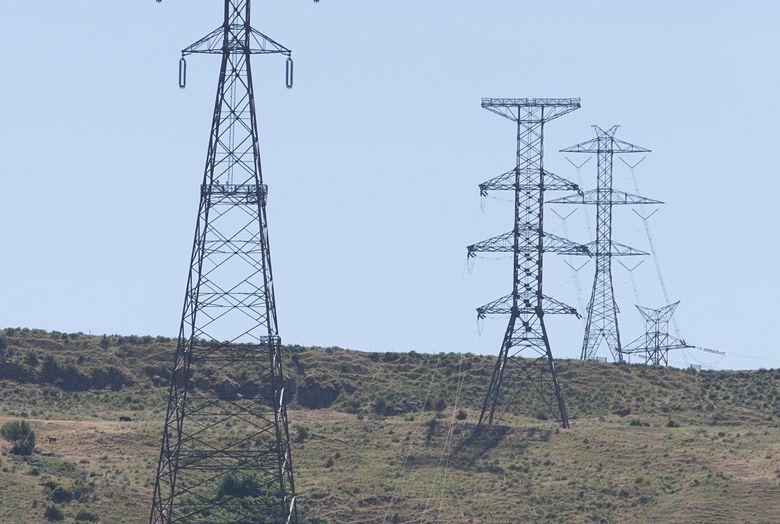 That’s the proposal to privatize the government-owned Bonneville Power Administration, which owns about three-quarters of the high-voltage electric transmission lines in a region that includes California, Washington state and Oregon, serving more than 13.5 million customers. By one authoritative estimate, any such sale would drive up the cost of transmission by 26 percent to 44 percent. The $5.2 billon price cited by the Trump administration, moreover, is nearly 20 percent below the actual value of the Bonneville grid — meaning that a private buyer would pocket an immediate windfall of $1.2 billion, at the expense of federal taxpayers and Bonneville customers. Trump’s plan for Portland, Oregon-based Bonneville is part of a larger proposal to sell off other government-owned electricity bodies, including the Colorado-based Western Area Power Administration and the Oklahoma-based Southwestern Power Administration. But Bonneville is by far the largest of the three, accounting for nearly 90 percent of the total $5.8 billion the budget anticipates collecting from the sales. The proposal is also part of the administration’s infrastructure plan. Both plans are said to be politically dead on arrival in Washington. But they offer a window into the thinking in the Trump White House. “The word ‘muddle’ comes to mind,” says Robert McCullough, a respected Portland energy consultant, referring to the justification for the privatization sale included in the Trump budget. The implications of a sale could be dire for Californians. Bonneville is the majority owner of the California-Oregon Intertie, an electrical transmission system that carries power, including Columbia River-generated hydropower, south to California in the summer and excess California generation to the Pacific Northwest in the winter. The notion of privatizing Bonneville predates the Trump administration; it was raised by Bill Clinton and again by George W. Bush. Both initiatives failed. But that’s based on a misunderstanding of how transmission rates are set, McCullough says. Transmission is essentially a monopoly enterprise, with rates overseen by the Federal Energy Regulatory Commission based on the grid’s costs. There’s very little in the way of market “incentives” involved in transmission, since no one has come forward to build a competing grid. Those include the owners’ cost of capital — which would be much higher for a private owner, McCullough observes. A private owner, unlike the government-owned Bonneville, also would owe federal income taxes, which would be passed along to consumers. What’s left is a blind faith in the magic of the market, compounded by ignorance about how the transmission market operates. Put it together, and there’s reason to wonder if Trump is even serious about this plan. Michael Hiltzik is a columnist for the Los Angeles Times.